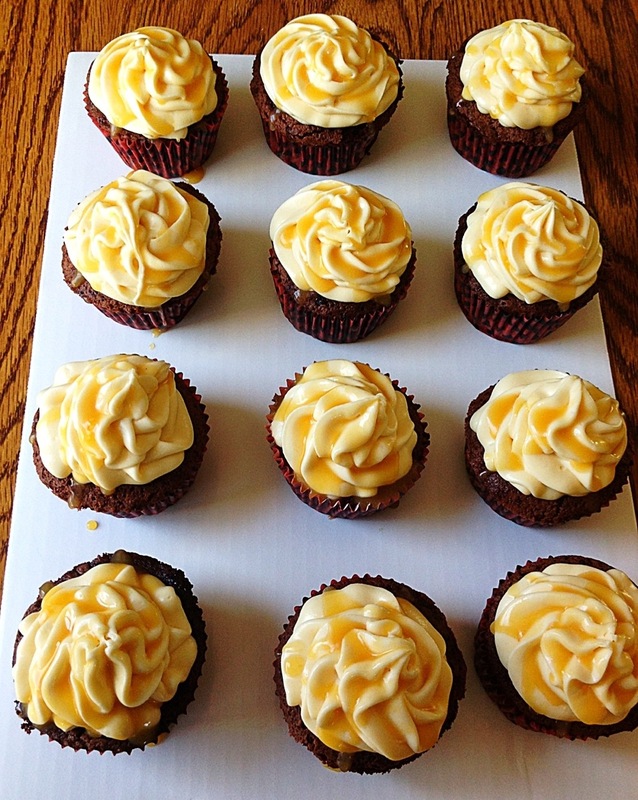 Salted Caramel Sauce and Salted Caramel Chocolate Cupcakes | My Crazy Blessed Life! Put the sugar in a thick bottomed pot. 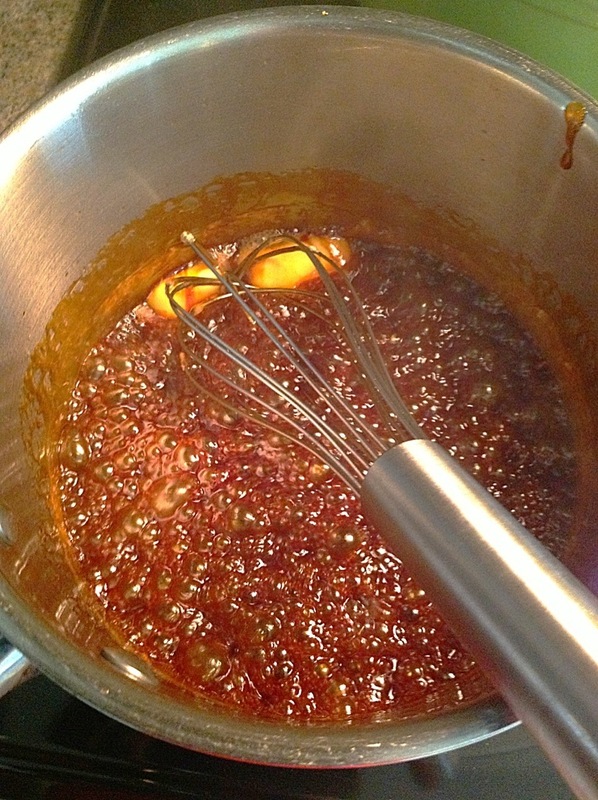 Before heating gather your other ingredients to have close by because caramel sauce is a time sensitive project. A few seconds too long to get an ingredient and it burns! You will need a candy thermometer also. 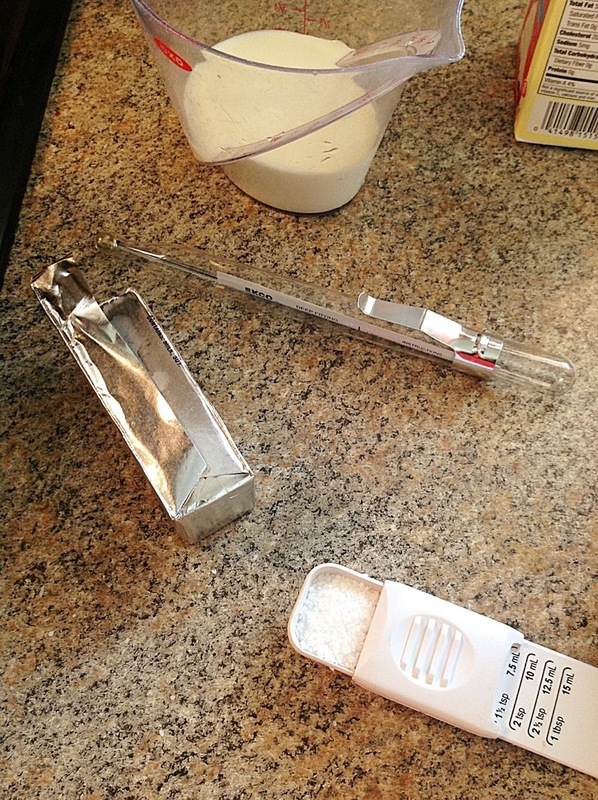 The picture shows 1 1/2 teaspoons salt but I’ve tweaked the recipe since the picture and 1 teaspoon tastes better. Now turn on your burner to medium heat, maybe just a tad bit warmer. 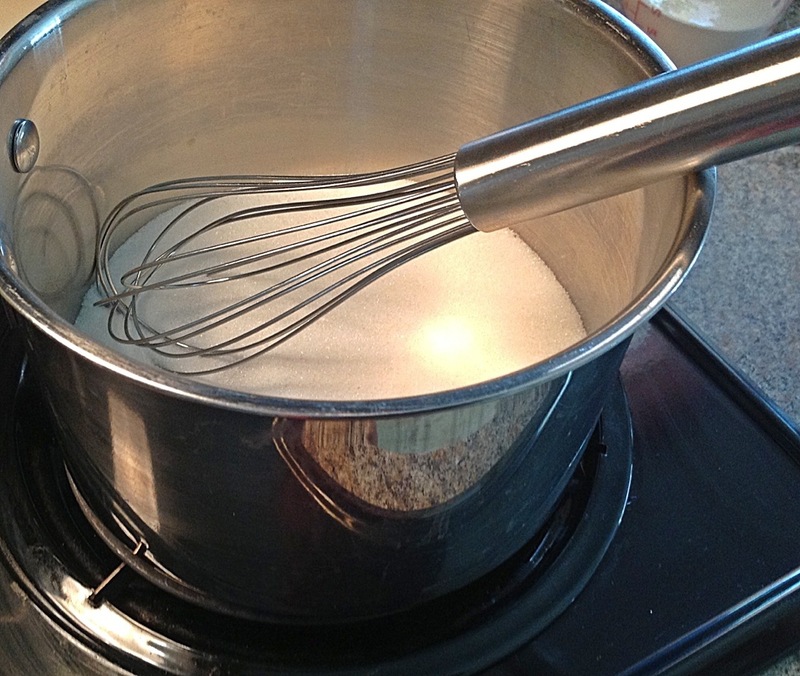 Stir while heating with a whisk. 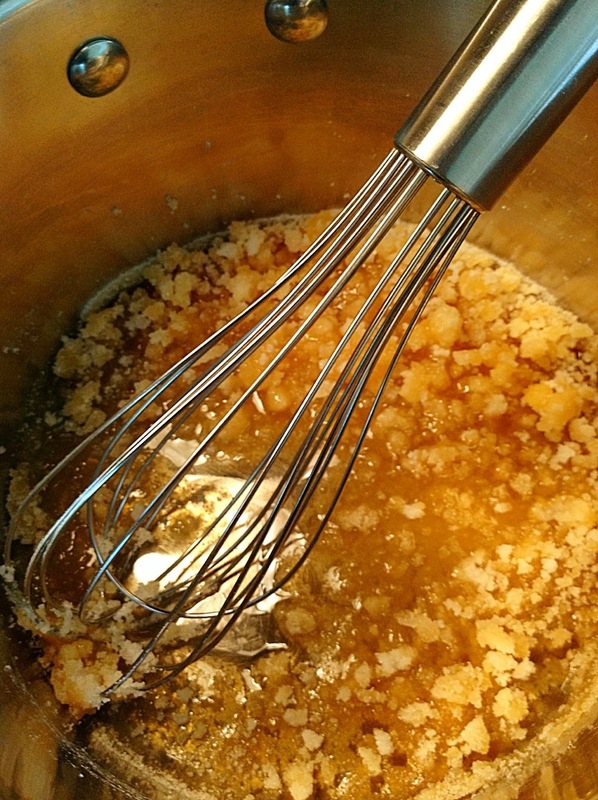 The sugar will become lumpy, keep whisking so all the sugar melts evenly. 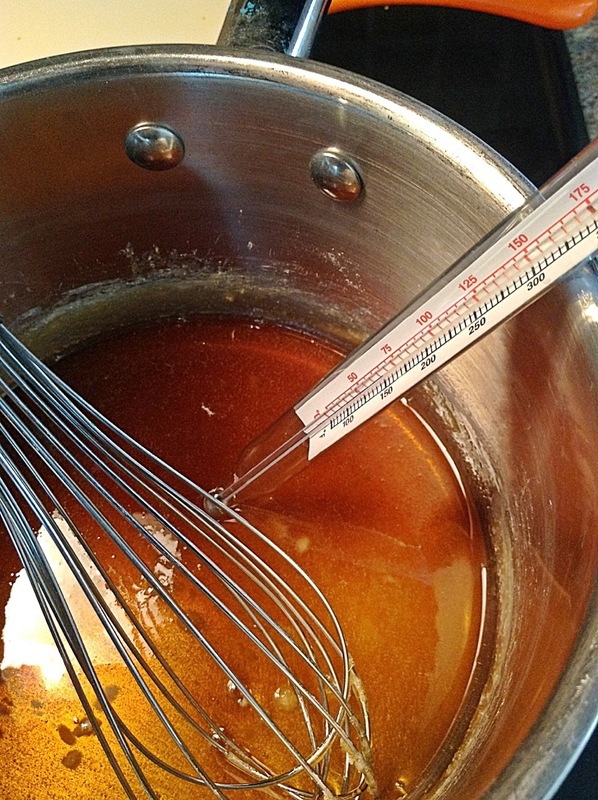 When the sugar is melted use your candy thermometer to gauge the temp of the melted sugar. It needs to reach 325 degrees. Make sure the tip isn’t touching the bottom of the pot though. As soon as it reaches 325 pull the pot off immediately and add the butter. 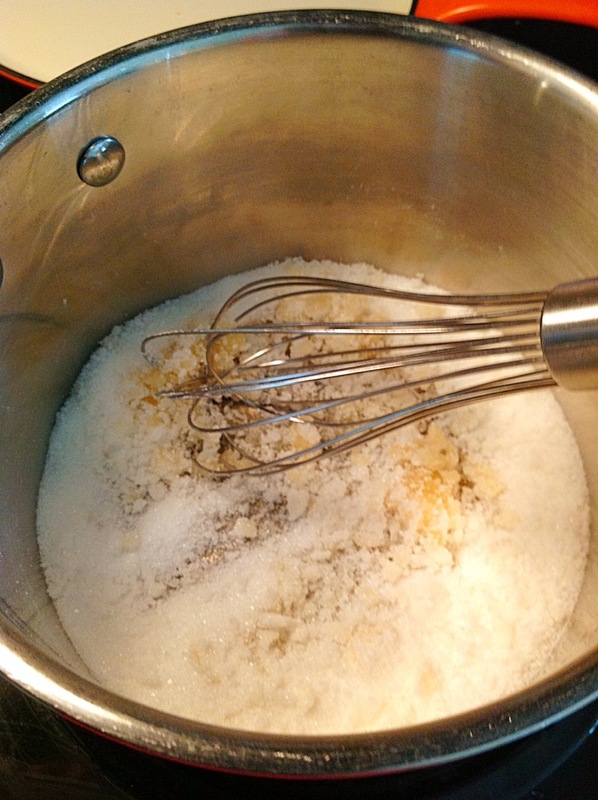 It will boil up quickly, just keep whisking. Next add the heavy cream and salt and keep whisking until well incorporated. The cream might bubble up as well. Let cool and then chill in the refrigerator. It will become much thicker when cold. 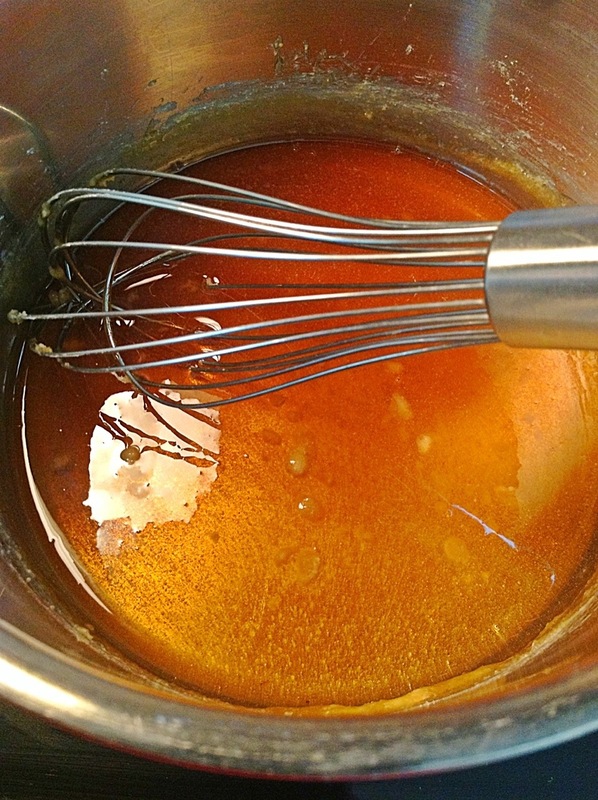 Let the cream cheese and butter come to room temp and then beat it together with the salted caramel sauce. I did this with the whisk attachment on my stand mixer. Slowly add the powdered sugar until it reaches the stiffness you want for your frosting. Chill for at least an hour in the refrigerator. Then use on a cake or cupcakes! 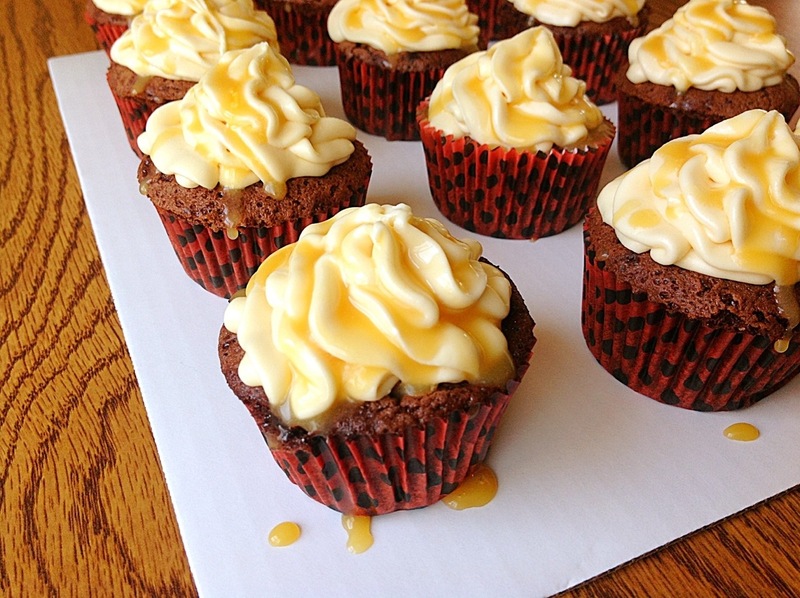 I used it on chocolate cupcakes and then drizzled them with my salted caramel sauce. 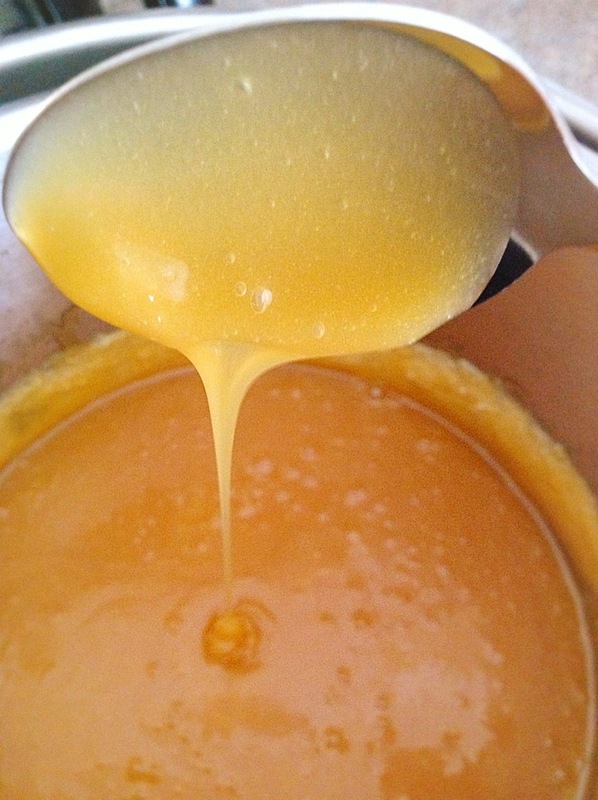 Have you tried making caramel with condensed milk? If so, what did you think of it? If not…. 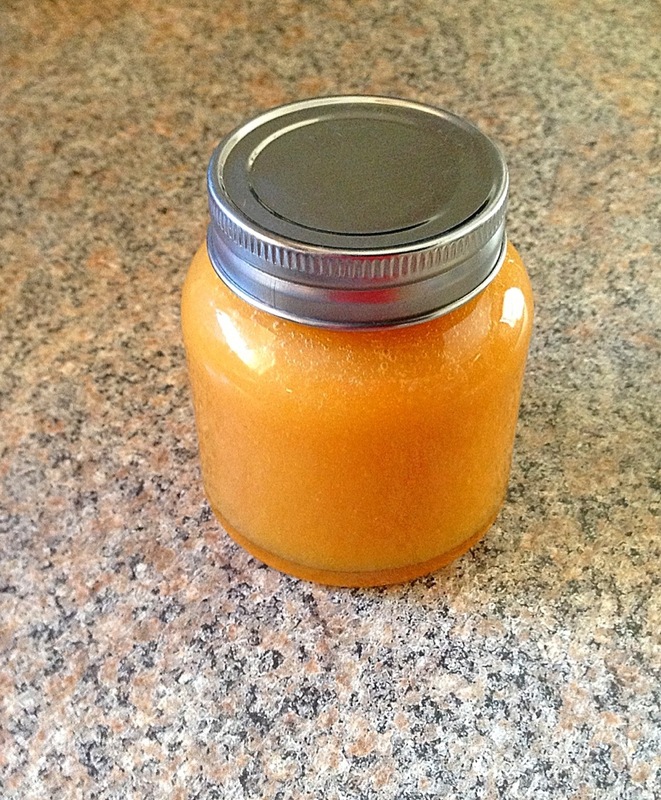 One, unopened can of condensed milk, put in crock pot , cover with water, use lid, cook on low for 8 hrs. (I did it overnight), place in refrigerator until completely cooled. 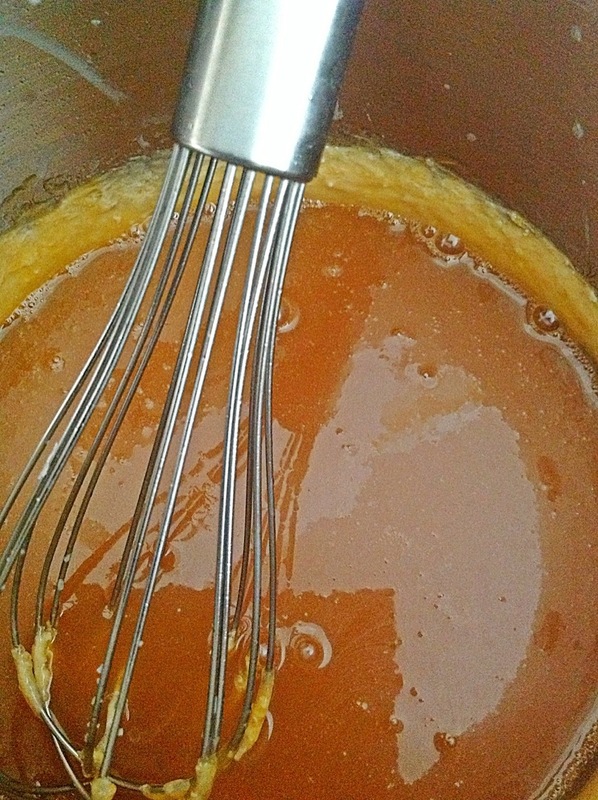 Voila, you’ve got caramel! I use it to drizzle over cupcakes, ice cream, and brownies…. I think it tastes great and wow it’s easy. No I haven’t. I’ve heard of it and will have to try it 🙂 thanks! Just attempted your recipe~ after two failed attempts the third was okay but the color of the melted sugar gets dark while I’m waiting for the candy thermometer to reach 325. Any suggestions? I have a electric stove and had the setting on 6. I definitely be trying this again!